Our Emmeline’s final resting place will be in Manchester, but for this symbolic occasion, it was in the London based foundry, Bronze Age Sculpture Casting Foundry, that the pour took place. This is ‘lost wax’ bronze casting, a highly skilled process that dates back some 6,000 years. 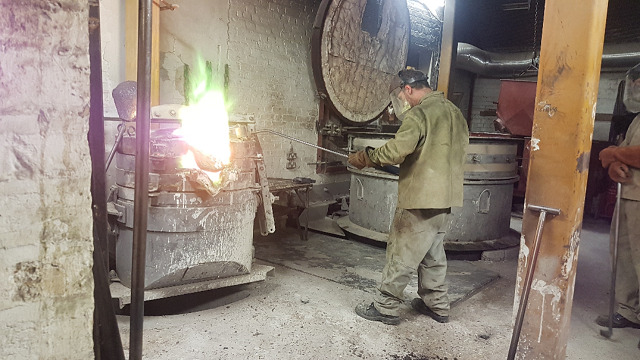 The process entailed 300kg of glowing molten bronze being poured into a hollow vessel exactly in the shape of Emmeline.